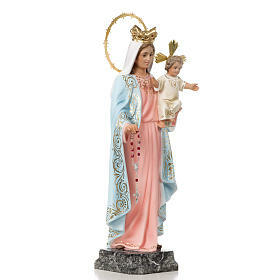 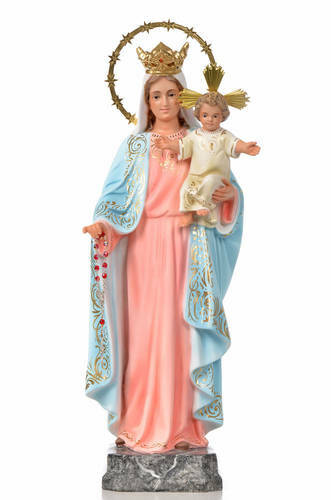 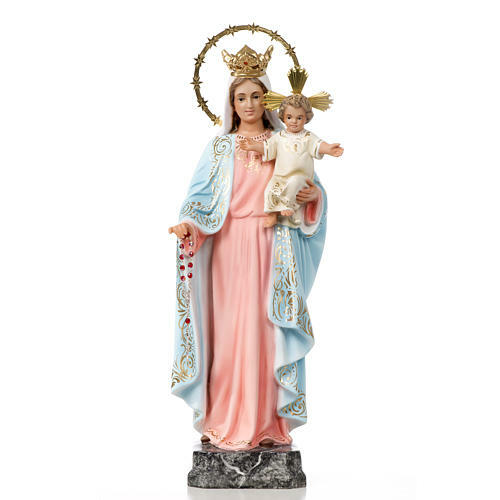 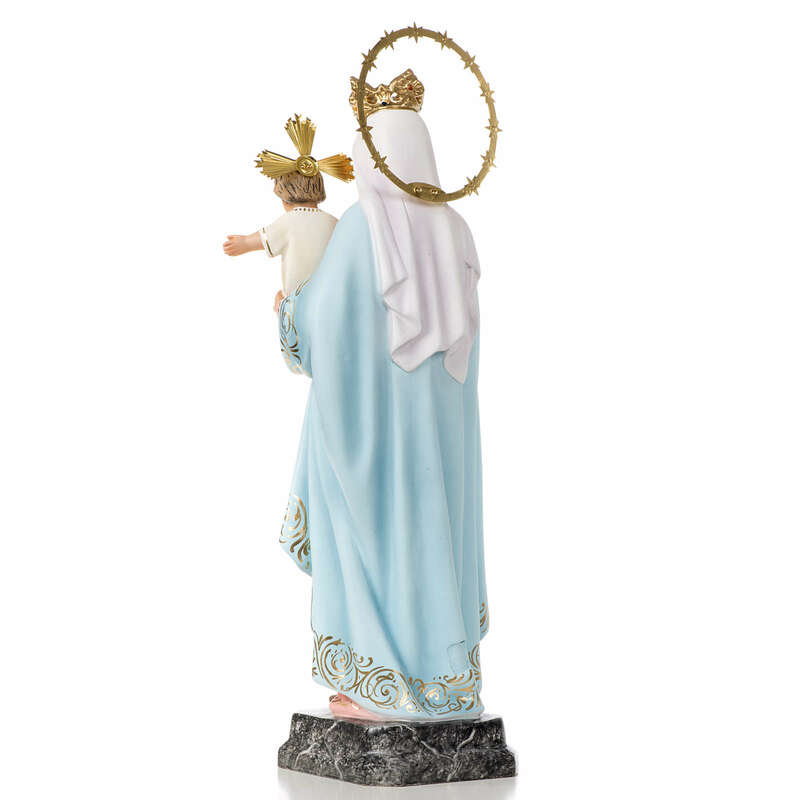 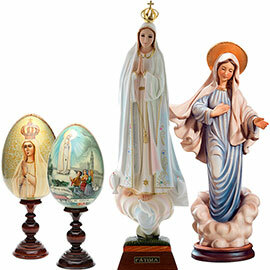 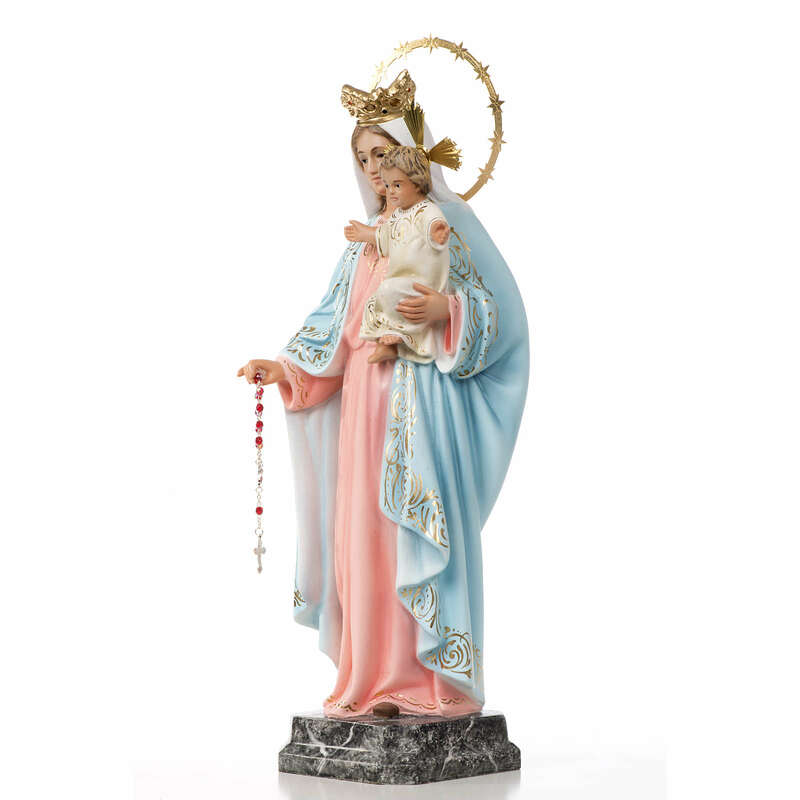 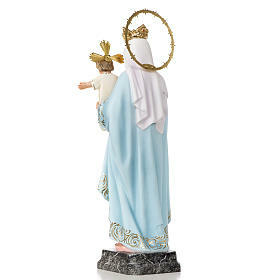 Our Lady of the Rosary statue in wood paste 40cm with elegant decoration. 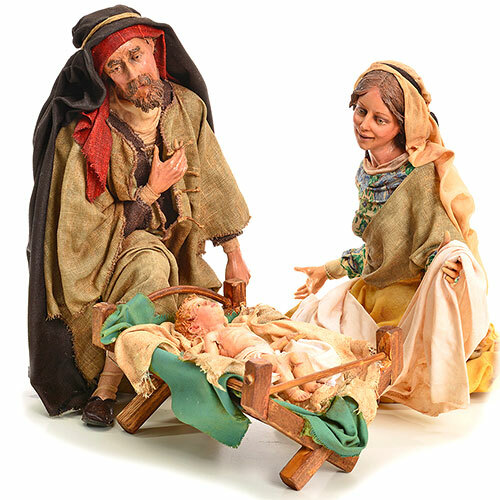 Elegant decoration of the sculpture: the clothes are embellished with dark and light shades and the edges have glitters. 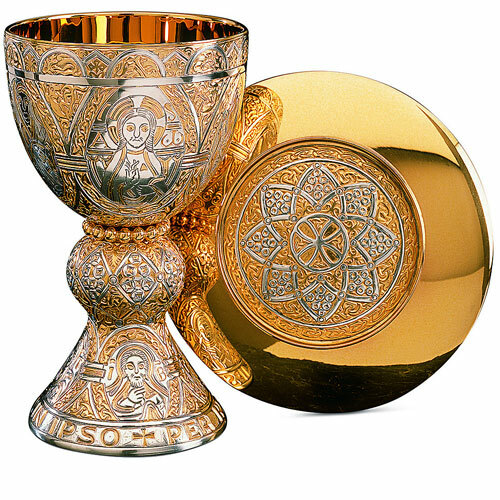 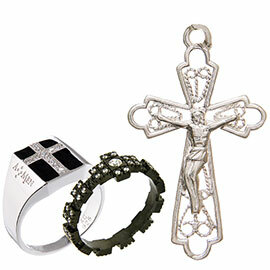 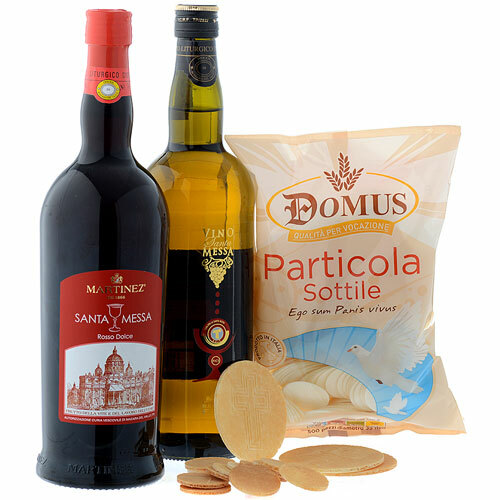 The base features a marble-like motif and is coated with varnish.